Flows from each finger soothing me. Am strong in the harmony of self. 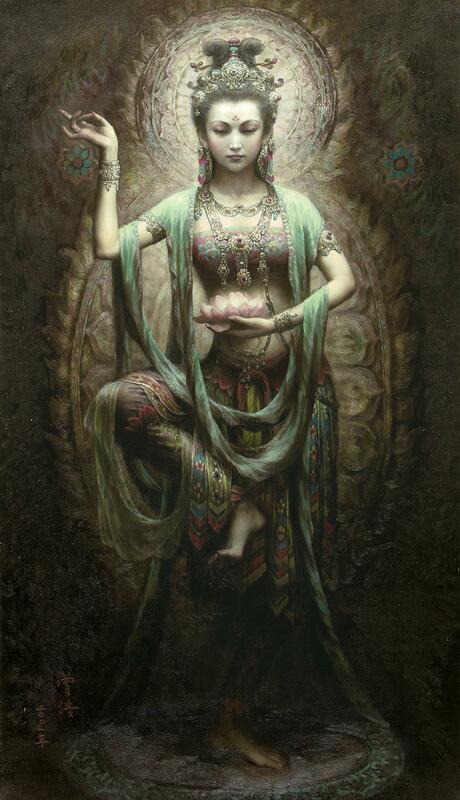 The Goddess Kuan Yin is one I turn to when I am most in need of finding the stillness and space of peace within myself. She is the Bodhisattva of Compassion and Mercy. Her nature is one of forgiveness and the serenity that is found, most especially, in forgiveness of self is profound. May her peace fill you with the knowledge that you are loved unconditionally by the Divine.